PwC's forensic audit report of MCX has once again raised questions about the role of statutory auditors. Last month, when global audit firm PricewaterhouseCoopers (PwC) submitted its special audit report on the Multi Commodity Exchange (MCX) to the Forward Markets Commission (FMC), it came as a rude shock to all. The report, conducted for the period between 2003 and 2013, highlighted a series of irregularities that were taking place in the exchange since its inception. The FMC, the commodity market regulator, ordered the scrutiny of MCX, which is 26 per cent owned by the Jignesh Shah-run Financial Technologies India (FTIL), after a Rs 5,600-crore payment crisis rocked the National Spot Exchange Ltd (NSEL). The FMC was particularly concerned because NSEL is 99.9 per cent owned by FTIL. The report reveals that while MCX and Financial Technologies (FT) group disclosed names of only 235 related parties, the audit identified 676 additional entities or individuals who could be directly or indirectly related to the exchange, FT group, FTIL key management personnel or their immediate family members. The report alleges that "abnormal patterns have been noted in trades performed by these [additional] entities such as wash trades". Wash trades are market manipulation techniques used to artificially jack up trading volumes. 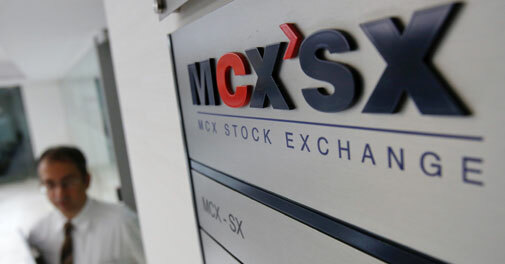 The operations of MCX were significantly dependent on FTIL for technology solutions, warehousing and selection of vendors for non-trading transactions, the report observes. "MCX emerged as a significant customer for FTIL by driving around 25 per cent of its revenues yet MCX does not seem to enjoy adequate bargaining power against FTIL," it says. The report goes on to add that "? in most cases, FTIL could not confirm whether the amount billed by it (from MCX) was commensurate with the quantum of effort spent by FTIL resources on MCX technology projects." So, how did these activities go undetected for more than a decade? For most part of its existence (2003/04 to 2008/09 and 2012/13), MCX's statutory auditor was Deloitte, Haskins & Sells. For a brief period, BSR & Company (a member firm of the KPMG network) also became its statutory auditor. A Deloitte spokesperson asserted that there's a difference between a forensic and a statutory audit. "PwC carried out a forensic audit which is investigative in nature. The role of statutory auditor is to not look into frauds. During the course of auditing, if we come across any fraud, our job is to assess its implication on audit. It's not possible for a statutory auditor to examine each transaction," the Deloitte spokesperson said, adding that the audit firm has no plans to contest the PwC report. Experts don't agree. In India, auditors have to follow the auditing principles laid down by the Institute of Chartered Accountants of India (ICAI). For the banking sector, however, the Reserve Bank of India lays down the auditing guidelines. The Insurance Regulatory and Development Authority decides the auditing standards for insurance companies. According to ICAI stipulations, the duties of an auditor are not limited to verifiying the arithmetical accuracy of the books of account kept by his client. The auditor is required to follow substantive audit procedures to verify and substantiate the entries in the books of account. Accordingly, he must examine all vouchers, invoices, minutes of meetings, correspondence and other documentary evidence that is available to establish the nature and authenticity of transactions. While it is not feasible for auditors to examine each transaction in detail but what is stopping them from doing random checks, says Amit Tandon, founder of Institutional Investor Advisory Services. "Unless they question the information that is being supplied to them by the clients, they are just doing a rubber-stamp job," he says. "A lot of outsiders (banks, credit ratings agencies, shareholders) make big decisions just on the basis of auditor's approval. They should do it properly." The onus of detecting fraud lies with internal auditors, company board, audit committee and external auditors, says Y.H. Malegam, a former president of the ICAI. "It is wrong to put the entire onus on an external auditor," he says. Meanwhile, there are reports that the FMC has asked MCX to change Deloitte as its statutory auditor. Business Today could not independently confirm this. PwC and MCX declined to respond to queries. Time and again, the role of external auditors has been questioned. In the Satyam scandal, for instance, the auditor - ironically it was PwC - failed to carry out the simple task of getting the banks to confirm whether the company held any fixed deposits with them which eventually led to a multi-crore accounting fraud. The ensuing credibility crisis for auditors paved the way for the introduction of an auditor rotation clause in the new Companies Act. Clearly, the MCX controversy once again puts the spotlight on auditors and the need for them to be more proactive.